It already feels like summer is flying by too fast! I haven't completed anything from my TBR Pile Challenge this month. I finished A Short History of Nearly Everything at the very end of May, and I'm just now starting the next book for my challenge. 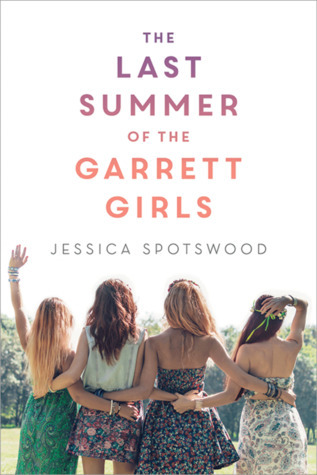 I read a couple of very new books - The Outsider by Stephen King and The Last Summer of the Garrett Girls by Jessica Spotswood. Another great book I read this month was Go, Went, Gone by Jenny Erpenbeck, which was quite timely as it dealt with immigration. I only completed 6 books in June, which is a little less than usual for me, I think because the Stephen King book was so long. 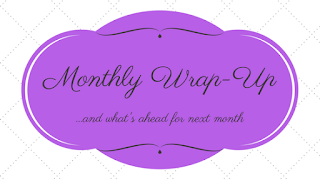 I really thought I'd start flying through my TBR list now that I don't have a book group and therefore have one less book to read per month, but it was a busy month. 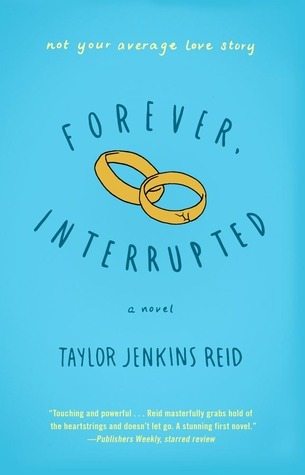 My only audiobook was Forever, Interrupted, which is now my least favorite book by Taylor Jenkins Reid. Otherwise, it's been the same old music and podcasts. Oh! I did add one new podcast - Slow Russian, which is a Russian language-learning podcast. I've been wanting to brush up on my Russian but I don't necessarily want to just listen to the regular language-learning sources and their boring conversations about your flight and how to get to the museum or whatever. On this podcast the host, Darya, reads a short piece about some aspect of Russian culture. Then she goes through it sentence by sentence and explains things that might be unfamiliar. Of course, there are also words I should know but don't that she doesn't explain, but I'm trying to just let it go and soak in what I can. The Handmaid's Tale might be slowly killing me. I'm so very worried about the state of our union right now and I love this show, but it doesn't help. I thought it would be over after 10 episodes like last season, but apparently it's going to go for 13. So my trauma is being prolonged. We've started watching Poldark, one of those historical British shows that is right up my alley. I had heard of it before, but then a friend mentioned liking it a lot and told me more about it and it's actually something Eric and I are both interested in and can watch together, which doesn't happen often. It's great so far! I also began watching Parts Unknown, the Anthony Bourdain show where he travels to different places and eats interesting things. I knew very little about him, but after he died everyone had such great things to say. I almost wish I had watched this while he was still alive, but then I'd be as upset as everyone else. What really spurred me to watch wasn't just his death, but the fact that my Cookbook Club at work is going to be doing his book for our next meeting, so I thought I'd try to familiarize myself with him a bit more. He's so incredibly unpretentious, which I love. On the second episode of the show he goes to Koreatown in Los Angeles and eats at a Sizzler. A Sizzler! No matter where he goes (so far) he loves everything he eats. The guy just loved to eat, apparently, which I totally understand. There was a lot going on this month, so I haven't cooked very much. June started out with a birthday party that I threw for myself, but we had it catered because I didn't want to spend the entire day slaving over food. We also went camping one weekend, and there have been a few other social activities. The weekend is really when I have time for cooking so if I end up having a lot of plans on the weekend then I don't have as much time to cook. I did make pickles for my Cookbook Club at work, which was easy and delicious. We were cooking from Flour, Too by Joanne Chang. I also tried a couple of new recipes from Melissa Clark's Dinner but no real favorites, I don't think. Below is a photo of a Colombian-inspired chicken dish that has a lot of great flavors, but was kind of awkward to eat so I'm undecided about whether I'll make it again. As I mentioned, the month began with a birthday party for my 45th. It was great, but I stayed up waaay too late and spent the entire next day - my actual birthday - in my pajamas, eating leftover party food and feeling out of sorts. The following weekend I went to a friend's 40th birthday party, which was a 90s dance party. I was a bit concerned about being able to pull together a good 90s outfit, since I was determined not to buy anything, but I borrowed some boots from a coworker, found a pair of lace tights in my drawer (where the heck did they even come from?) and the outfit really came together from there. So, lots of birthday fun in June! Eric and I also took our first camping trip since we adopted Petri. We bought a new, larger tent which I love. I had no idea how she would behave on a camping trip, especially with the potential for so many other dogs around, but she was surprisingly well-behaved and really liked sleeping with us in the tent. The trip was cut short because of impending rain and thunderstorms, but I wasn't sure we'd make it through more than one night anyhow so it wasn't too much of a disappointment. It also gave us some extra time back at home so we went to see Deadpool 2, which was pretty good. At work, a lot of the month was spent in interviews for a new Assistant Director and Teen Librarian. I'm amazed that we managed to cram in 2 rounds for 2 positions AND keep the reference desk staffed (more or less) but now the worst is over. Interviewing can be so exhausting. I'll be hiring another person in my department later this summer, but it's a position we've been without for about 5 years, so now it feels like it's extra. Exciting times! It's halfway through the year, and I've mostly done ok at sticking to my goals. I need to remind myself that part of the reason I wanted to become a better cook is to be healthier, because recently my eating habits have not been great. (Birthday = giant cake for days. Camping = s'mores with lots of leftovers and I've been toasting marshmallows on my gas stove.) I won't beat myself up for not doing a lot of cooking recently, because part of enjoying summer is making plans with people on those precious weekend days. My other major goal this year was to be better about getting together with friends, especially those I don't see often, and I have definitely been doing that. I may have mentioned that this year I switched from a bullet journal to a Passion Planner, and I'm still trying to decide if this planner will work for me. I do love the setup and the focus on goals (although I admit I haven't been filling everything out recently and I need to do better on that!) but I don't have enough space for my daily to-do lists. There's not even a space for that actually, because the way it's set up every day is a schedule. I don't have a ton of scheduled events, so I've just been covering the time slots with washi tape. Unfortunately, it doesn't leave a ton of space to write so I have to try and write very tiny. I think the larger size planner would work better, but I'm not sure it would fit in my bag. I might try the larger size next year and if it doesn't work, maybe just incorporate everything I like into a bullet journal? I don't know, but I really don't want to lose the goal-setting aspects of this planner. I also really like the weekly quotes and directives, all of which are great reminders. For instance, the quote next week is "Sometimes you have to find the good in goodbye." Then it says "Let go of the negativity you have towards someone by reflecting on the lessons you've learned from them. Believe that your experiences have made you stronger and that your future deserves to be shaped by positive experiences instead of being weighed down by negative ones." One annual activity that I always look forward to is a day on Georges Island, one of the Boston Harbor Islands. Some friends and I take the ferry over and just spend a relaxing day together, walking around, sitting in adirondack chairs staring at the ocean, and catching up with each other. Then we take the ferry back to Boston and usually wrap up with dinner at a local restaurant. I always end up exhausted and sunburned and it is totally worth it. My same friend who organizes that excursion also has a birthday later in July and this year we'll be spending her birthday at a Janelle Monae concert. So exciting! We've seen her perform before when she opened for Prince back in 2013 and it was a great show. Her new album is fantastic and I can't wait to see her perform these songs. I am hoping to do a little more cooking than I have been, especially since I've made a list of recipes I've been wanting to try but that are very summery. I've been waiting for in-season tomatoes, corn, and other produce so I want to be sure I make use of them while I can. I went to the Farmer's Market near work on its first day of the season and bought some rhubarb and chard for a recipe. I haven't gone in the couple of weeks since then, but would like to make it a habit. It seems everyone has been raving about this book - and Backman's other books - for quite a while now, but I never paid much attention for some reason. Then I realized it was supposed to be an uplifting heartwarming story about a quirk curmudgeon, which sounds exactly like the sort of thing I'd read. 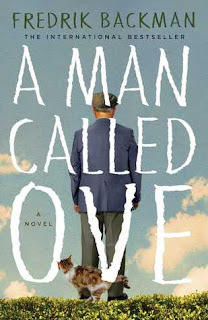 As you may have gathered from the title, it's about a man who is named Ove. He is a widower who is very set in his ways, and makes it his business to patrol his neighborhood (he lives somewhere in Sweden) to ensure nobody is breaking any rules and he thinks anyone who doesn't drive a Saab is an idiot. When the story opens, a new family is moving into a nearby house and much of the story is his association with this people who are determined to be his friends, even though he is incredibly rude to them. Also, he keeps trying to commit suicide but is always interrupted, often by his new neighbor Parvanah who, unlike her husband, is not a complete idiot. Ove sort of grudgingly likes her. Oh, and there's a cat who keeps hanging around who Ove also grudgingly likes, mostly because he wife Sonja loved cats and literally the only thing in the world that it seems he has ever loved was his wife. Everything I've read about this book talks about how heartwarming and uplifting it is. It's even on a list of "Books on the bright side" that we made at work (well, it was, I've taken it off.) I did not find it to be terribly uplifting. Ove's backstory is sad and tragic and he doesn't know how to relate with people and seems to not ever feel any feelings except for his wife, and their story wasn't an especially happy one either. Plus he literally keeps trying to kill himself through most of the book. So yes, eventually things get better for him and he makes connections with people but at the risk of being a bit spoilery, it doesn't have a very happy ending. So I have rather mixed feelings. It's a good book, but not what I expected it to be. I like dark and sad books, but went into this expecting this happy, uplifting story I got neither of those things. "The Blond Weed, Ove calls her. Tottering around the streets like an inebriated panda on heels as long as box wrenches, with clown paint all over her face and sunglasses so big that one can't tell whether they're a pair of glasses or some kind of helmet." That's sort of how it all sounds, exaggerated and satirical, and I liked it because I was delightfully surprised at how everything was described. And I'll admit, I did not necessarily disagree with some of Ove's views of things, which maybe makes me a curmudgeon too. He was a great character in some ways. The story goes back and forth between present day and his earlier life, and he had a hard upbringing. But he took his father's lessons to heart and has always been a person of strong principles. He may be abrupt with people, but his sense of right and wrong is unwavering, which is what really matters when you get down to it. I felt sort of sad that his wife was really the only light in his life. I have no idea why this woman actually wanted to be with him to be honest, but it can't have been easy for her. He seemed like he was missing a lot in his life. He didn't seem to really enjoy anything, and much of the time just used routines to get through his days. I think he had some happiness, but it was so very limited. My feelings are obviously very mixed. Have you read this? Or other books by Backman? What did you think? Four sisters, orphaned and living with their grandmother, share a transformative summer. The oldest, Des, works full-time in the family bookstore and has been handling most household responsibilities while their grandmother has been recovering from an injury. 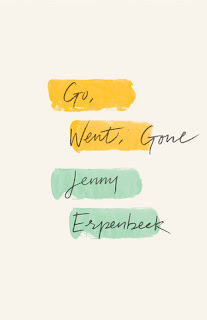 Bea has just graduated and will be going to Georgetown with her boyfriend Erik, except she can no longer tolerate even thinking about this long-standing plan. Kat has been dumped and is formulating a plan to get her (jerk of an) ex-boyfriend back. Vi has a deep crush on a girl named Cece who seems super nice, but also seems to have a boyfriend. These were all such good story lines, and I really loved these characters. Des is this totally dependable mom-figure who takes care of everybody at the expense of really living her own life. The book never comes out and uses the word "asexual," but she makes it clear a few times that she is uninterested in pursuing romantic relationships with anyone of any gender. She is, however, interested in a friendship with Paige, new to town, and different from anyone Des has known before. Her grandmother warns her away from this girl, claiming she is trouble, but Des ignores her, tempted by all the fun times she can have with Paige. I loved how imperfectly realistic these characters are. Like Bea, who has been with her boyfriend since she was 13 (!!) and they've totally planned their lives together, but she is no longer interested in that life. She has also met a very attractive boat-dwelling guy named Gabe and has been spending some time with him. She can't bring herself to break up with Erik though. His family is like her family and vice versa. It would be like two families splitting, rather than just two people. And Erik is a super nice guy. There's nothing wrong with him, it's just that Bea is no longer in love with him. It would be much easier if he was actually a terrible person. Like Adam, Kat's ex-boyfriend. He cheated on her and is now dating the girl he cheated with. Kat is determined to win him back and realizes that the person to help her do it is Mason. Mason is bisexual and recently went through a breakup with his own boyfriend, who he also wants to win back. Kat's idea is that they will pretend to date and make their exes jealous. This will be especially easy since Kat and Mason got the lead parts in a play - a perfect situation to construct a romance! But it starts being difficult to tell what is acting and what is real. 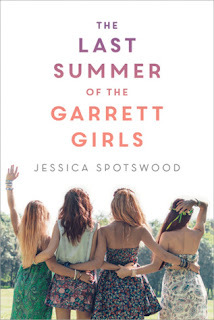 I love small town stories and stories about sisters, which Jessica Spotswood is so good at (see also: The Cahill Witch Chronicles.) She's also good at creating individual, diverse characters who are realistically flawed and who I always root for. I really enjoyed this book and found it to be a perfect summer read. I know the title says "the last summer" but I would absolutely read another book about these characters and how things are going a year or so down the road. I want to make sure they're all ok! 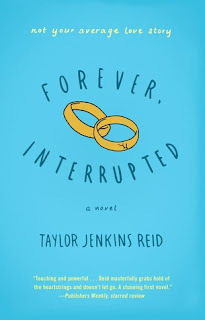 I've been reading all of Taylor Jenkins Reid's books, mostly on audio, and all I had left was this one, which I believe was her first book. All I knew going into it was that it was about a young woman whose husband is killed. It turns out they were only married nine days - though I don't know if that's better or worse than if they were together longer - and the story goes back and forth between the current time period and the time before he was killed, starting on the day they met. It was a whirlwind romance and one of the things Elsie needs to deal with after Ben's death is the fact that he never told his mother about Elsie at all. Elsie is a librarian, and it is clear that Reid did not do even 10 minutes of research about what that means. It is implied that her library degree is a bachelor's (rather than a master's), and because she went into library science she was making more money right out of school than her peers. (HAHAHA.) At her job, she doesn't work on the reference desk because that is left to those without degrees. (What?) Instead, Elsie appears to spend 95% of her time researching topics for displays, and the rest of it shelving or filing things. None of this is based on reality. Reading a few job ads or a short career profile online would have cleared that up right away. I tried to ignore all of this, but my god it was so annoying. And I hate to spoil things by talking about things that happen late in the book, but I'm going to. Elsie literally punches a library patron and doesn't get fired. In fact, although she's arrested she doesn't even get disciplined at work. She works for a municipality - this is completely unrealistic. I could go on about how laughably ridiculous everything was that related to her job. I also had some minor issues with the aftermath of Ben's death. Like, why did nobody from his life appear aside from his family? Didn't he have friends? Coworkers? Someone outside of family who cared about him enough to go to the funeral or contact Elsie? And I thought his mother handled his death a little too well for someone who was still getting over losing her husband three years ago. It seems like this would have compounded her grief, but instead she was a pro at it because she had just gone through this all not long ago. I didn't hate it all. If I had, I would have just stopped listening. I liked the whole premise of the story, and having such a young woman lose a spouse is unusual. When you add all the complicated circumstances surrounding their whirlwind relationship and 9-day marriage, there is really a lot to think about. After Ben's death, Elsie met his mother and I really like how the relationship between these two women evolved. Elsie also had a friendship with an elderly library patron named Mr. Callahan, and I also really enjoyed their relationship. In many ways, it was much like her other books (except The Seven Husbands of Evelyn Hugo, which is very different from all of them), but not as good. It's got her trademark breezy style and relationship story with a bit of a twist, but it just wasn't as convincing to me somehow. I just couldn't get into the story of their relationship because it went so fast it was bordering on insta-love. Also I am a super-cynical middle-aged married lady and while I love a good romance, I can't take young people falling instantly in love super seriously. Come on, you barely know each other. If you are not a librarian and not a cynic, you might like this book more than I did. Some of my criticisms are more about me than the book (except the poor research - you should always do research) and even with those, I still finished it. I still listened every day on my commute, wanting to know where the story was going. I also just like Reid's style of writing, the relationships and the emotion in all her stories. The narration was good too, which made it all go down easier. It was her first book and I've read and enjoyed everything she's written since then, so it really doesn't affect my overall opinion of this author. In fact, I also just learned that she has a new book coming out in 2019 and I'm already looking forward to it! A child is horribly murdered and mutilated, and all evidence on the scene points to an unlikely suspect - local Little League coach and all-around great guy Terry Maitland. However, Maitland also has an air-tight alibi. He was out of town with several of his teacher colleagues at a conference and was even caught on film at right around the time the child was killed. But how can you argue with DNA evidence? Detective Ralph Anderson and his colleagues don't think you can, but after arresting Maitland publicly and learning of his alibi, he has a lot to answer for. This is just the beginning of Stephen King's newest novel, which goes on for over 500 pages and ends up somewhere unexpected. Somehow, I thought this book was more of a crime/mystery novel than traditional Stephen King fare. It's definitely about a crime, but things got pretty weird quickly. Without giving too much away (because everything I describe above happens very early) I will mention that the story brings in some elements inspired by folklore which can, of course, be incredibly creepy and I like how it was used here. There was also a real-life tragic event that happened in the past at a tourist attraction which also lent quite a creepy feeling to the story. If you've read King's Bill Hodges trilogy you'll recognize one character, Holly Gibney, who is intriguing enough in her own right to make me want to finally pick those books up. As always, King seems to pull his characters out of real life, each one fully-formed and multi-dimensional as people you see every day. I don't know how he does this. They're all imperfect - some more than others - and watching Ralph Anderson grapple to explain something inexplicable, or Marcy Maitland try to reconcile her husband with the horrible person who committed a violent crime was satisfying, but familiar to anyone who's read Stephen King before. 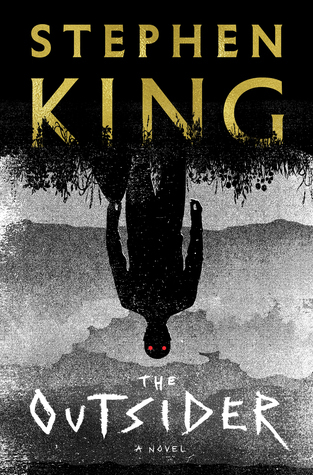 The Outsider is pretty long, and I spent a full week and a half reading it, but it was well worth the ride. I can't exactly say I enjoyed it, as so much of it made me feel rather uncomfortable and a bit icky, but it was so well crafted and satisfying and I definitely liked spending time with these characters as they tried to unravel this strange mystery. Long Way Down is a novel in verse about a teenager named Will whose older brother was just shot and killed. Will has been taught the rules since a young age: no crying, no snitching, get revenge. So he finds his brother's gun and sets out to get revenge on the person he's sure is responsible for his brother's murder. He gets in the elevator and starts down. On every floor, another person gets on - a person who is dead and who tells Will another part of the interconnected story leading up to this moment. It was a very quick read, though you do get a lot of story. At least enough to know that Will is learning a lot about where and how things can go very wrong when you follow these rules he's been given. It's clear that following them will only lead to more violence and death. It's also clear that he doesn't even know for sure who killed his brother, even though he feels sure about it. I keep hearing in my head what my former Teen Librarian from a couple of years ago would say every time she read something about a black kid that involved the inner city and violence. She got very frustrated that the only black kids represented in teen lit lived in the inner city, came from broken homes, were involved in gangs, etc. So I do keep thinking about that. However, that's taking a broad view of teen books which, while important, isn't the whole story. This book itself is undoubtedly good. It's popular and has won awards. It really packs a punch. It says a lot with relatively few words. At the same time, this sparseness of words is what I think kept me from getting into this story as much as I would have liked. I think I just don't love the novel-in-verse format. I know I loved The Good Braider, but that used a slightly different style of verse that was a little denser. Here, there really were just a smattering of words on each page. They were well-chosen words, but for me, I just like more of them, if that makes sense. As a side note, I've heard that the audio version of this book, which Reynolds narrates, is fantastic. I considered that format, but it's only about an hour and a half long and I was looking for something to fill more hours of my commute. 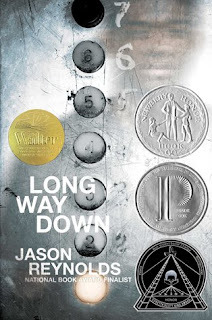 This is the second book by Jason Reynolds that I've read (after Ghost, which I liked more) and I think I'll probably read more of his books. I'm especially interested in The Boy in the Black Suit and All American Boys. A newly-retired professor in Berlin is faced with empty, unstructured days. Not long into his retirement, Richard learns that a group of African refugees are demonstrating in Alexanderplatz. He becomes curious and goes to visit them, becoming very invested in their lives as he continues to learn their stories and educate himself about their home countries and the situation they are now in. They came from different countries in Africa, all by way of Libya. From there they made it to Italy and were there for a while before ending up in Germany. This complicated route also complicated their legal status, so although they all wanted to find work and start their new lives, they were instead relegated to temporary shelters where they need to wait for their cases to be processed. Richard stuck with them as they were moved to a different facility, and tried to help them with their cases as much as possible. There was so much to like about this book. Richard's quiet, routine life. The way he was drawn slowly into the lives of these men just because he didn't have much to do and his curiosity was piqued. There was a point at which I was afraid he was just being nosy or a half-hearted do-gooder white person, but he really cared and he took steps to try and help, with little regard for his own comfort and convenience. He really was a decent human being who wanted other human beings to have the lives they deserved. I loved how closely he listened to the stories the refugees told him, and how he started spending time learning everything he could about their countries and their situations. He really thought about what they were going through, and what it must be like to be in their situations. It spilled over into his private life, of course, through conversations with various friends. Some also took up the cause, while others were less empathetic. He's not perfect. He had a lover, even while his wife was alive, and he doesn't feel bad about it. Even as he visits the refugees, he becomes attracted to the Ethiopian woman who is teaching them German, and tries to maneuver opportunities to talk to her. But his heart is in the right place, and he's a humble man who is willing to admit what he doesn't know and tries to learn as much as he can in order to be a better person. "He walks past the vacant lot where until recently a large villa stood with bay windows, a glassed-in veranda, and carved wooden ornaments, but now there's nothing but pallid sand waiting for the new construction to begin-- there's no better way to make history disappear than to unleash money, money roaming free has a worse bite than an attack dog, it can effortlessly bite an entire building out of existence, Richard thinks." Through it all is another small thread, in which a man drowned in the lake near Richard's house last summer and the body has not yet been recovered. Nobody will swim there, except tourists who don't know better, and Richard thinks about it now and then throughout the book. It's just a little thing in the background, but it somehow added to the overall feeling of the story. Similarly, Richard often hearkens back to the days when Berlin was divided by a wall and he lived in the East. Borders are important in this story. This isn't a fast-paced novel by any means and there's not a lot of action. It's literary to be sure (even though I'm not certain exactly what that means.) It's quiet and introspective and rather beautiful. Of course it's also timely, with today's divisive conversations about immigration and who should be living where, and what reasons are good enough to seek asylum in another country. It hasn't garnered a lot of attention - I hadn't even heard of it until I received it as a gift - but it absolutely deserves to be widely read. I recently re-read The Girl is Murder for my Not-So-Young Adult Book Group, and it spurred me to finally listen to the follow-up. In the first book, Iris and her dad had recently moved to the Lower East Side. He was injured at Pearl Harbor and her mother committed suicide, and now Iris had to leave her private school and nice neighborhood and live with a father she barely knew in modest accommodations while attending a new public school. He's a private investigator and she started helping him on cases, which he wasn't crazy about, and specifically one case involving a missing boy from Iris's school. But now, we're getting back to Iris's mother's death. In the last book Iris heard a rumor that her mother had been having an affair, which maybe factored into her suicide. Now it looks like maybe it wasn't suicide at all. Meanwhile at school, someone has been putting anti-Semitic notes in the lockers of Jewish students, and Iris has been asked to investigate. It's World War II after all, and there are Nazi sympathizers even in the U.S. Although Iris herself is Jewish, she had felt relatively untouched by these sentiments though she was aware of Hitler and his ideas. Iris and her friend Pearl have a conversation in which Iris mentions suspecting someone of being behind the notes, but says she can't believe it about them but if they did it they must have a good reason. Pearl says something very insightful to her. She says that even if it's her best friend she can't excuse them for it, because that's what leads to situations like in Europe. You need to speak up when someone does something wrong even if you like the person. It doesn't matter if they're a good person otherwise. The Nazis came to power in Europe because of otherwise good people being excused for bad behavior. I'm paraphrasing, but that was the gist of it and it was a very powerful moment in this story, and also true. It's a valuable lesson for all of us, not just Iris. There's so much more about this I found fascinating and relevant to any time where there's a rise in hatred towards certain groups of people and society is divisive in response. It gets very morally questionable in a way that I found kind of fascinating. It could lead to some great discussions, I think! As much as I liked the first book, I think this one was even better. 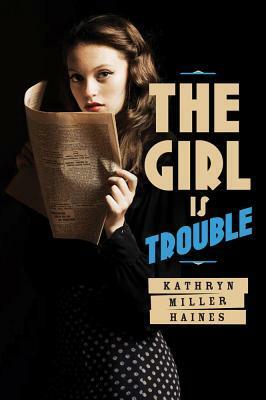 Everything about the anti-Semitic notes at school, and the mysteries surrounding her mother was just SO interesting when you start finding out the secrets. Although it's a sequel and I do recommend the first book, I think this one can stand on its own. They were both great on audio too!